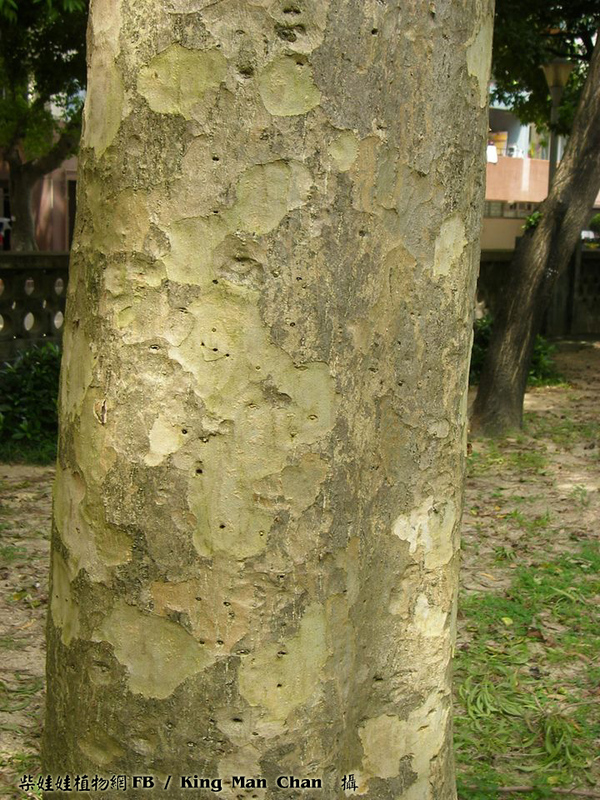 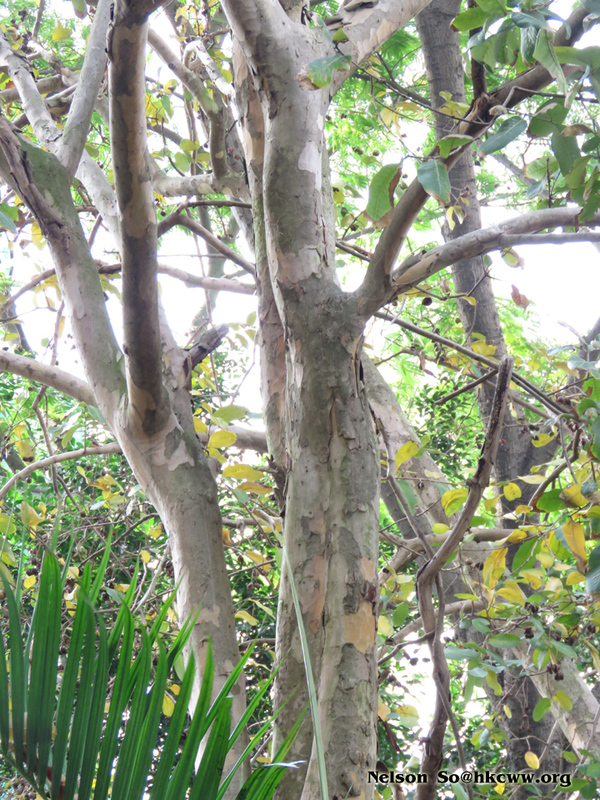 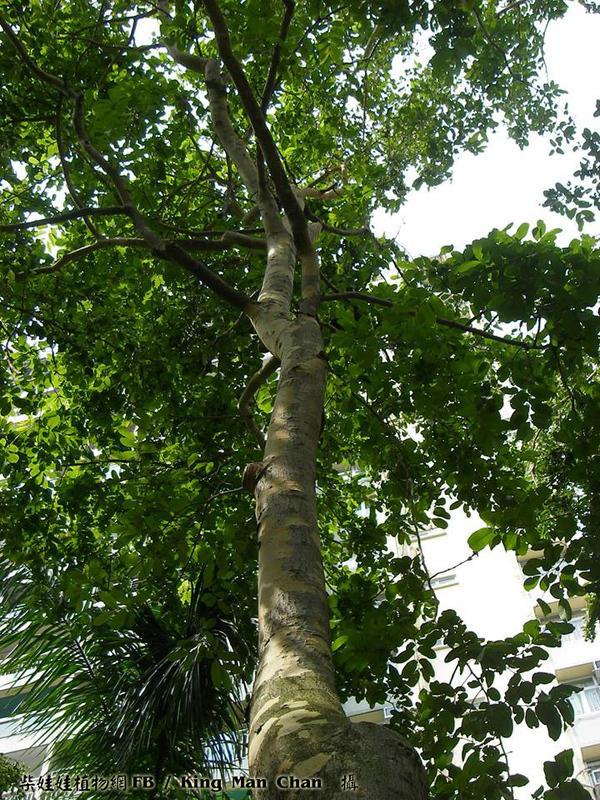 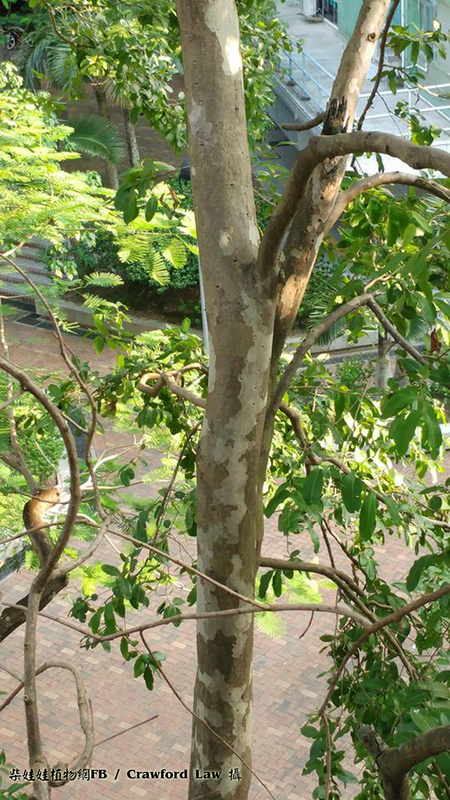 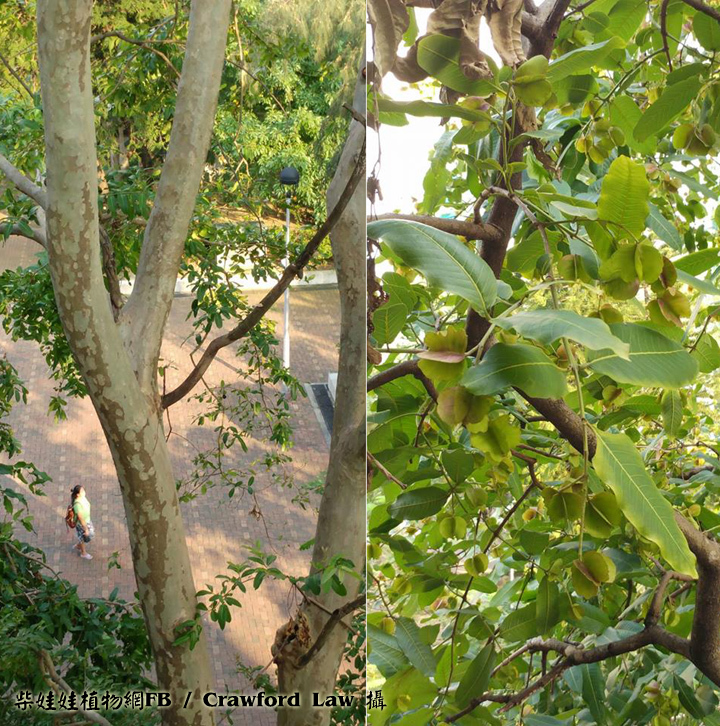 Large tree, 15–20 m tall; bark greyish white, exfoliating in flakes; branches alternate, spreading. 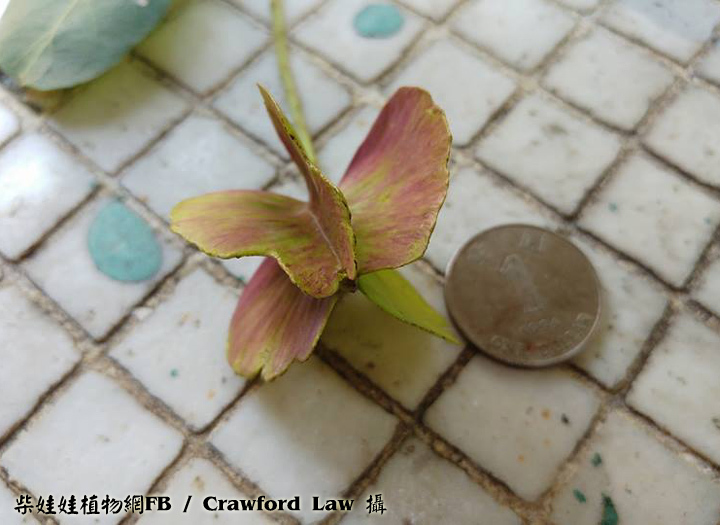 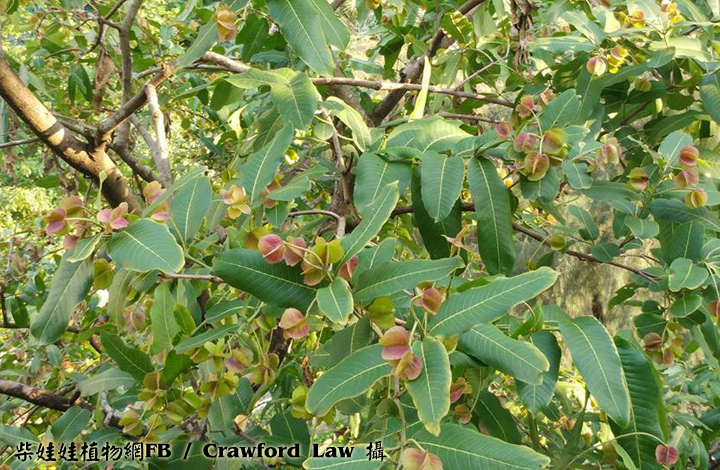 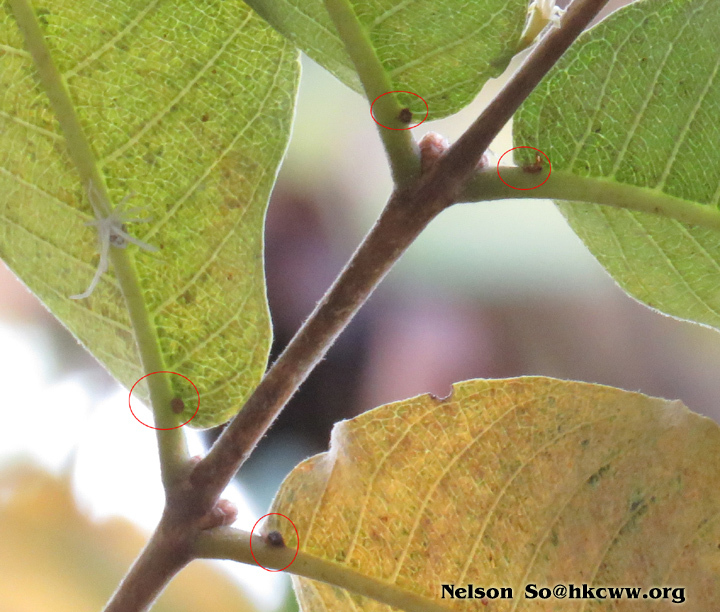 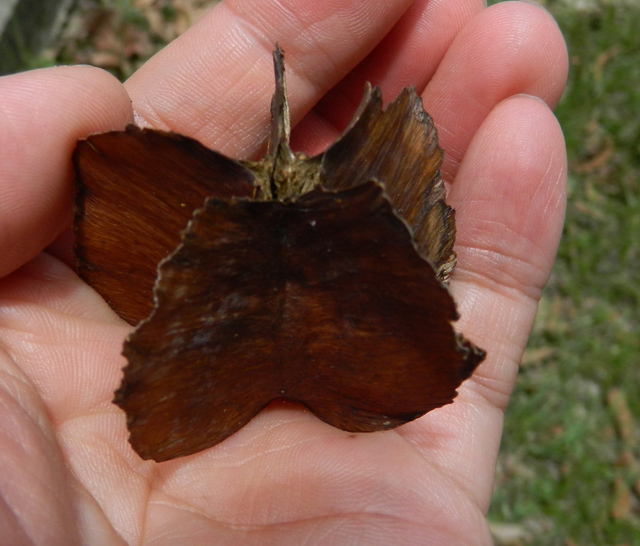 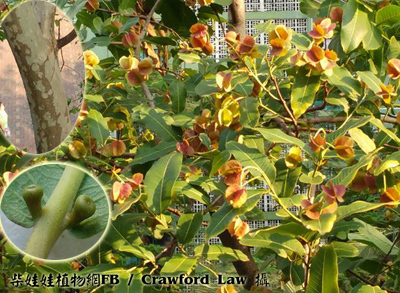 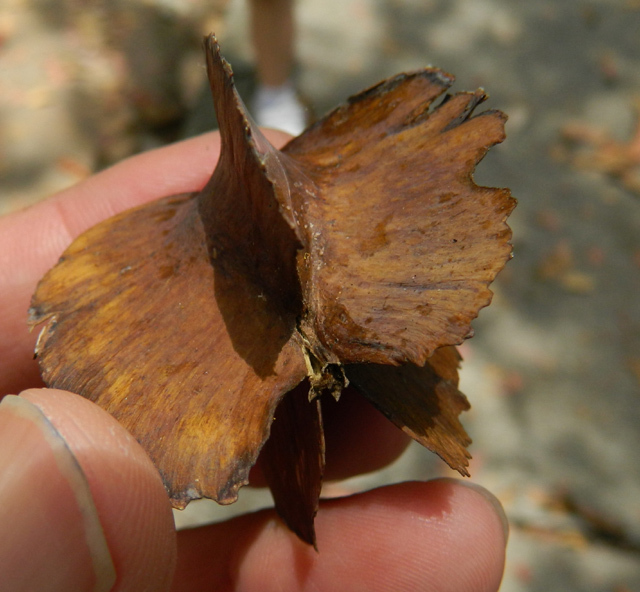 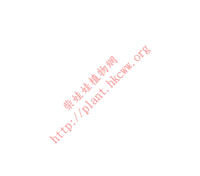 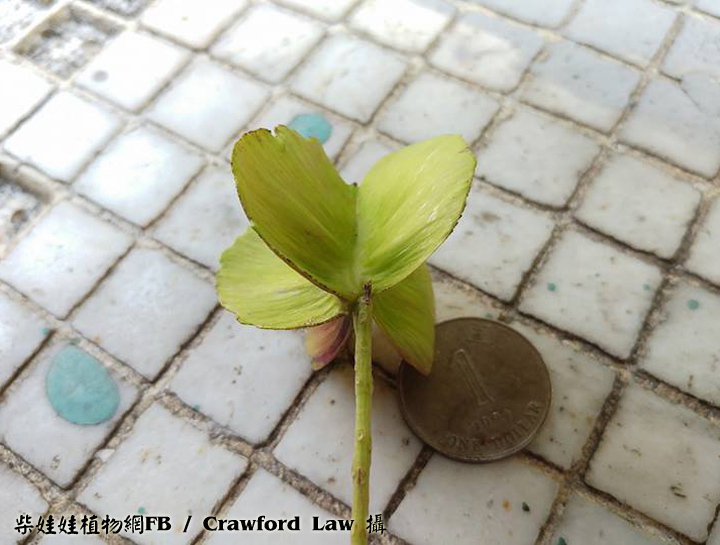 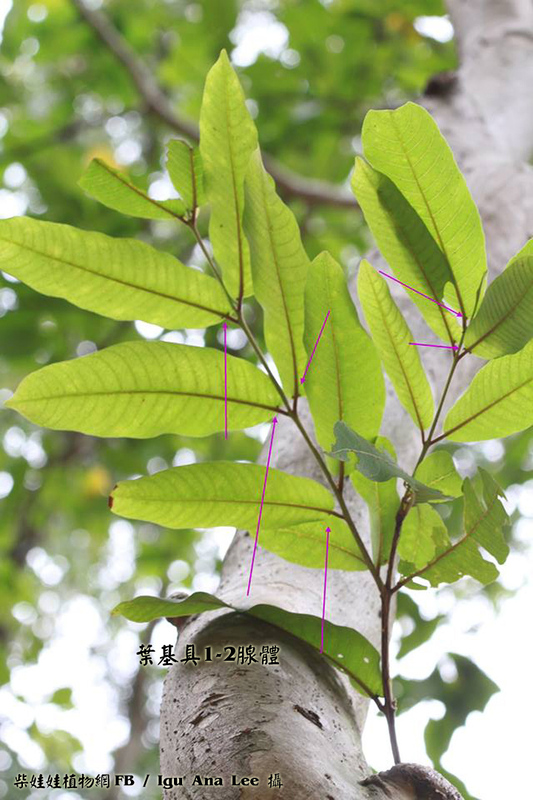 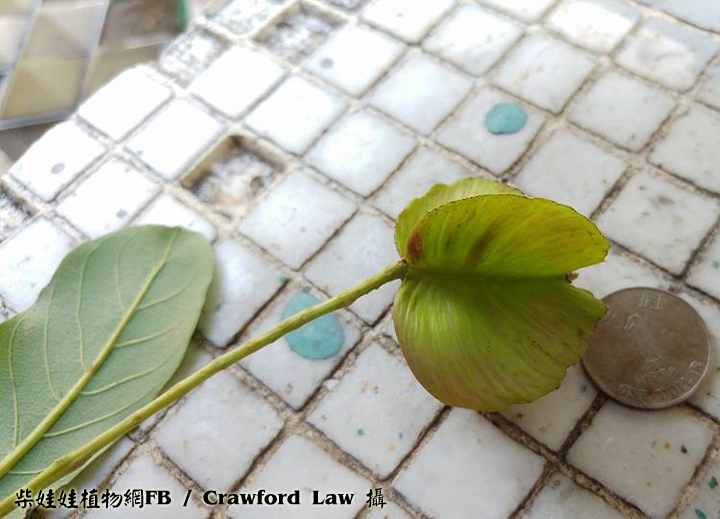 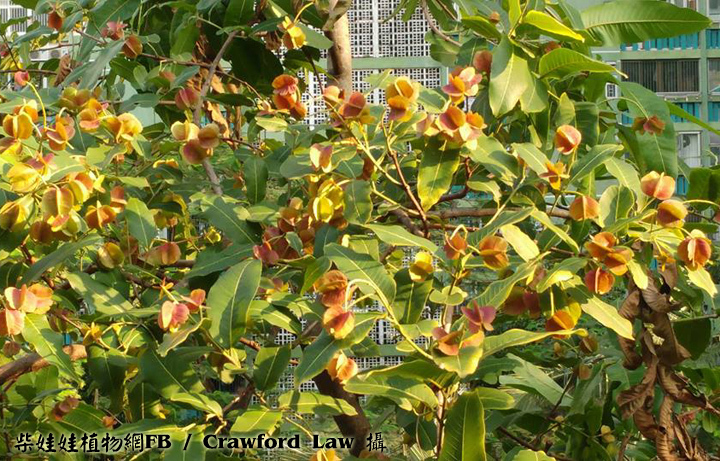 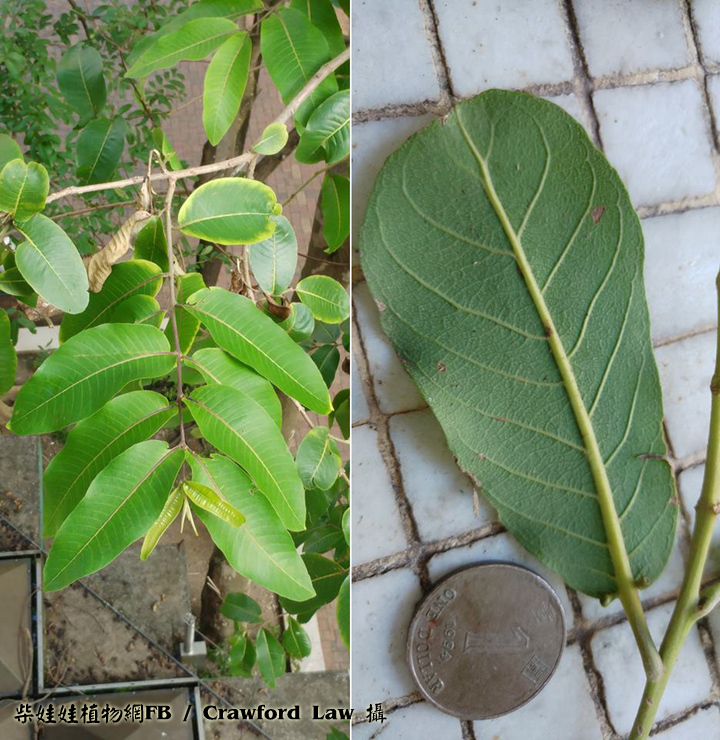 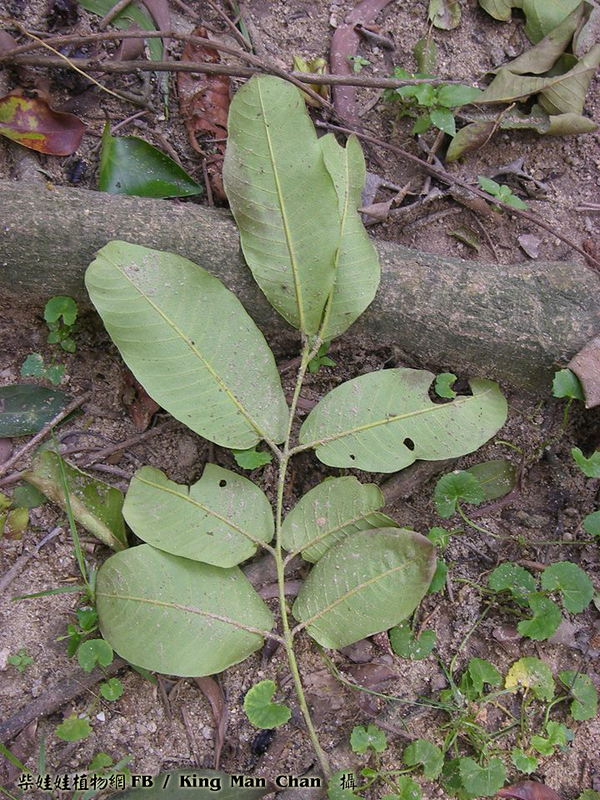 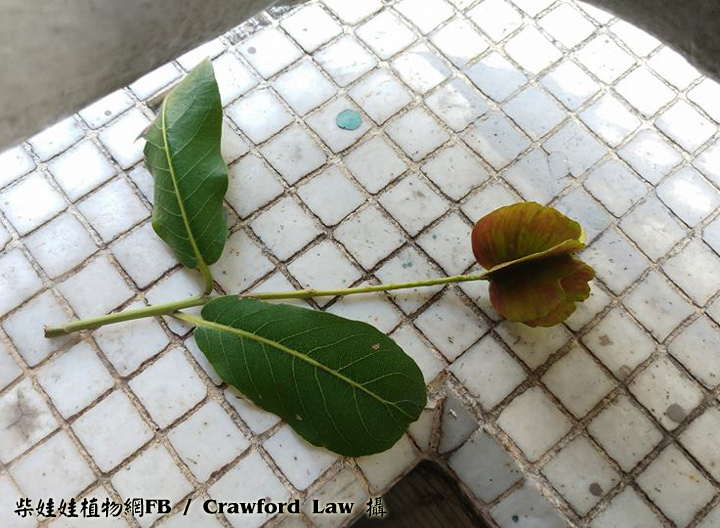 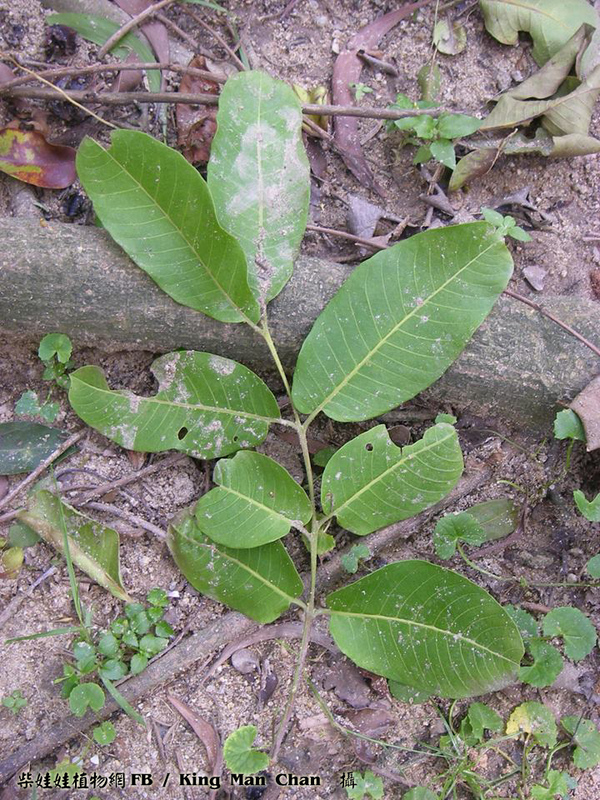 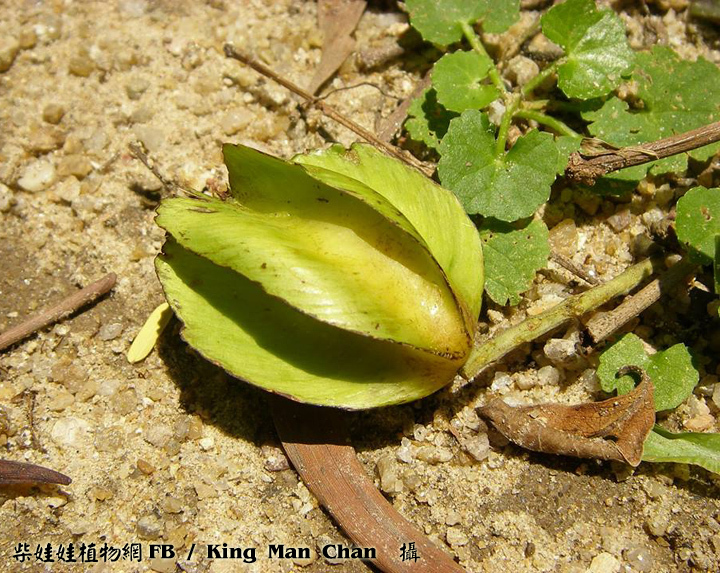 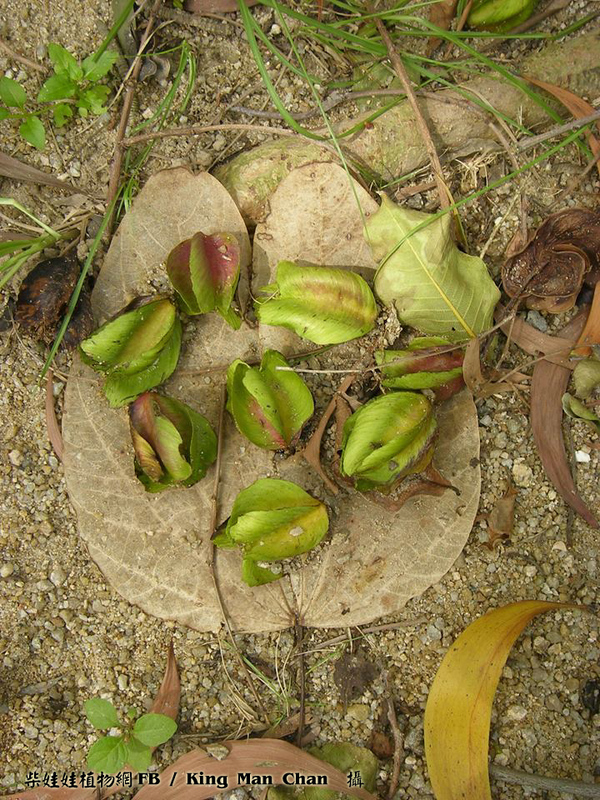 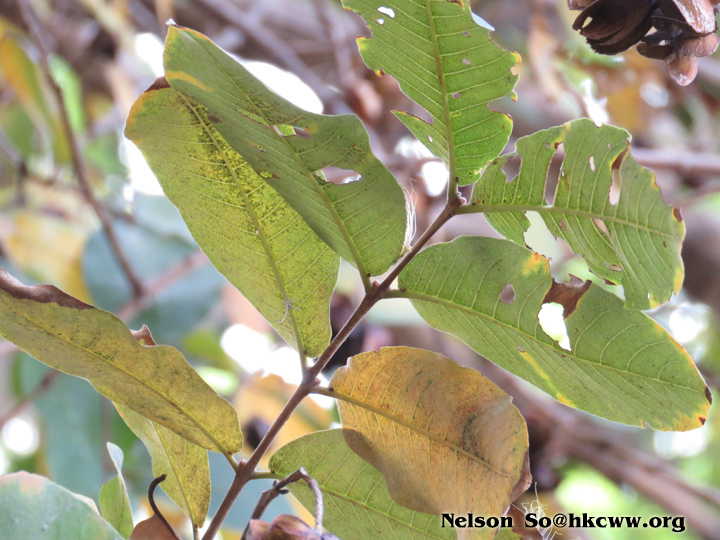 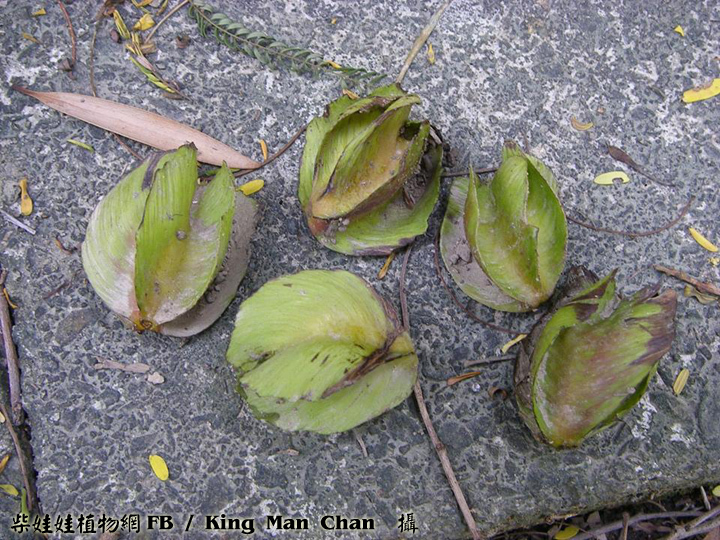 Leaves subopposite; petioles shorter than 1.2 cm, with 1 pair of glands near apex; leaf blade thickly papery, oblong or elliptic, 10 – 15(–25) × 5 – 10 cm, base cordate, asymmetrical, apex obtuse or very shortly acute, margin slightly undulate to subentire, densely papillate adaxially, subglabrous abaxially, lateral veins 15 – 22 pairs, conspicuous on both surfaces. 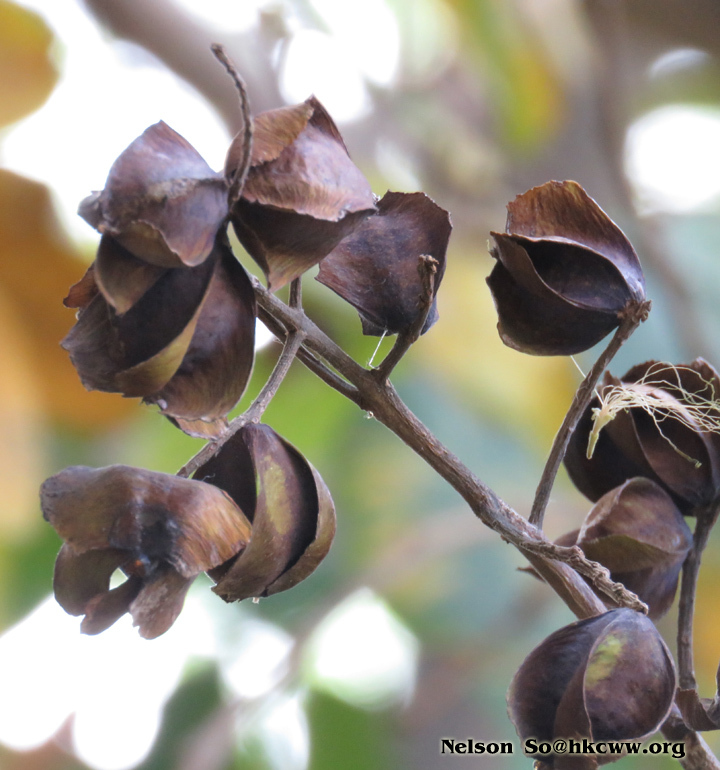 Bracteoles very small. 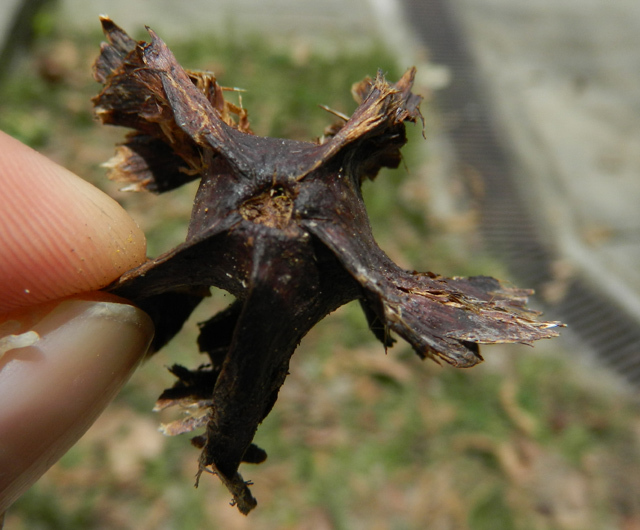 Calyx-teeth nearly glabrous on both surfaces. 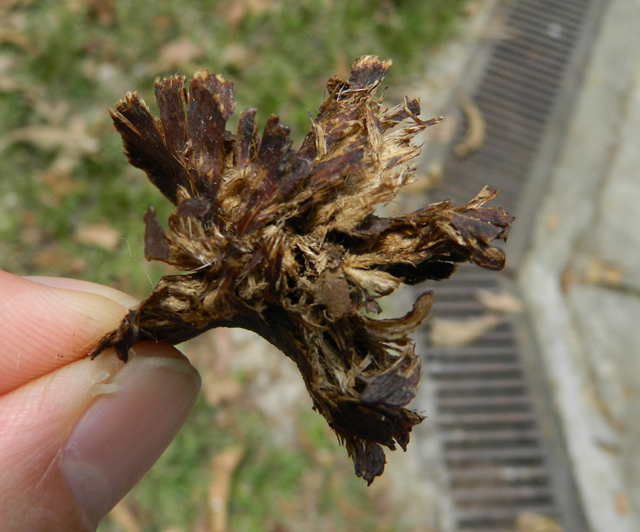 Ovary short, densely covered with crisped brown or rusty hairs. 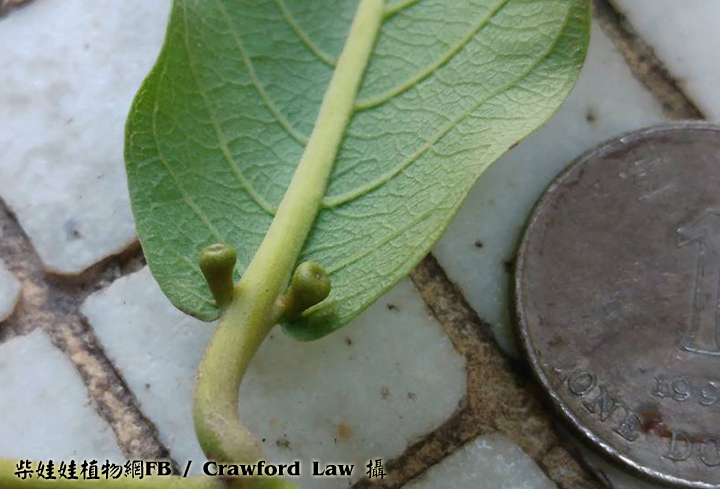 Fruit obovoid, 2– 2.6 cm in diam., ridged, wings usually truncate or suddenly narrowed at top.